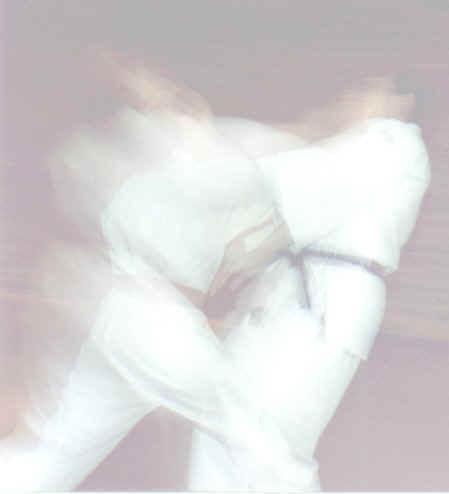 "Schools Aikido with Adrian" is established in the London Borough of Merton. Ricards Lodge Aikido was the first to be run during the day as part of the school curriculum. The classes first opened in 1998 at leafy Wimbledon's Ricards Lodge School for Girls in South London. The emphasis is on basics and natural body movement, this leads to a good posture and a sound self defence structure for the student, building self awareness and self confidence. The aerobic content of the classes help and improve fitness and the general well being of the student. Enjoyment and good discipline whilst learning to work together and achieve excellence is the aim. At the course end each student is awarded a certificate which confirms their attendance and successful completion of the course. The class is run by Adrian Tyndale he has studied martial arts since the late 60's and has trained in Japan with top instructors, and more recently Steven Seagal. He is a senior member of the GB National Squad, a Senior Coach for the British Aikido Association and is a 5th Dan Aikido, 1st Dan Judo. He has also studied Karate and Wing Chun Kung Fu. As a member of the GB National Squad he has competed both in the United Kingdom and overseas, winning several medals including gold. Adrian has featured in many publications, training videos and has appeared on local and national BBC television demonstrating his skills. He holds a City & Guilds 7307 teaching qualification and regularly operates Aikido classes in the Wimbledon area. He has successfully run Aikido Courses in England, Ireland, Poland and Spain. Adrian is currently the Personal Aikido Trainer to Tony Lloyd, the "Mr Motivator" of the martial arts world.